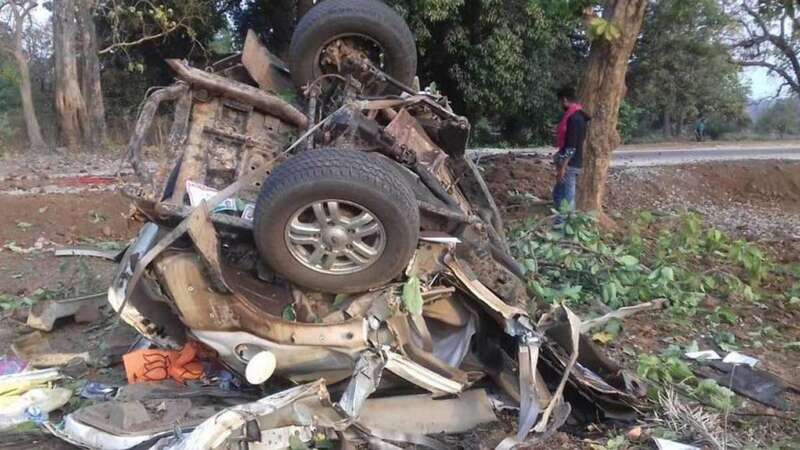 Dantewada : A Bharatiya Janata Party (BJP) legislator, Bhima Mandavi, and four security personnel in a convoy of vehicles were killed by the Maoists with an improvised explosive device (IED) in Chhattisgarh’s Bastar on Tuesday. The attack comes two days before people will cast their votes for the upcoming Lok Sabha Election. As per reports, the IED was detonated when the convoy was passing through Shyamagiri hills in south Chhattisgarh’s Dantewada district at about 4.30 pm. Voting in the Bastar Lok Sabha constituency will be done on April 11. Bhima’s convoy was heading towards Kuwakonda in Dantewada district from the Bacheli area, about 450 km from state capital Raipur. Apart from Bhima, four other personnel who lost their lives have been identified as Danteshwar Maurya (driver) and security personnel Chhagan Kuldeep, Somdu Kawasi and Ramlal Oyami. The bullet proof car in which the MLA was travelling was attacked with an IED bomb. Mandavi had crossed the same stretch of road on Monday with a team of district reserve guards on a journey that had passed without incident, Dantewada’s superintendent of police (SP) Abhishek Pallav said. A warning has been issued of a possible attack on the polling stations on Tuesday.